HomeProductsMusicalsEddie The Penguin Saves The World! Eddie the Penguin Saves the World! 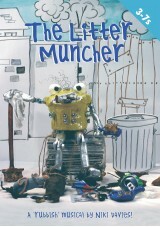 is a fabulous play all about environmental issues, from recycling to saving water and energy. The Eddie the Penguin Saves the World! songbook can also be used to support environmental topics without the play. Available with Words on Screen™ v2. About Eddie The Penguin Saves The World! 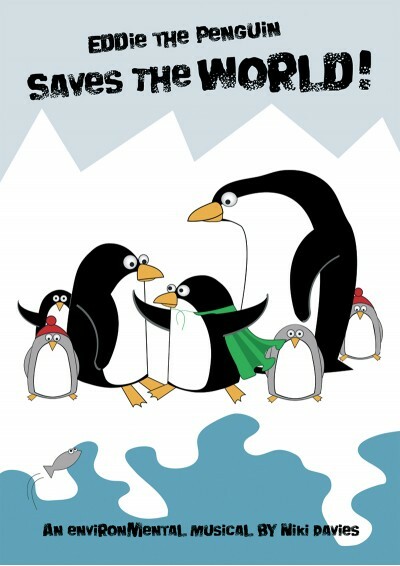 A must for any school investigating ecological and environmental issues, Eddie the Penguin Saves the World! is a fantastic new musical about protecting the environment. Eddie the penguin discovers that the world he lives in is changing and that the ice is melting. He decides to take his family to find a new home at the North Pole, where he meets Peggy the polar bear and discovers that human beings are causing the ice to melt. Eddie goes on a mission to save the planet and let the world know how they can change things for the better. The Eddie the Penguin Saves the World! songbook can be used in conjunction with the script or alone as a purely educational resource. Curriculum links are provided for all the key issues. This is amazing. I knew about emperor penguins and a few other types but not these highly evolved talking penguins who address complex scientific problems. Why did Al Gore not tell us about these amazing birds? I have used Eddie the Penguiin for three years now at infant level and it has proved to be one of my best resources to date! I use it every January starting off with an Antarctic theme and leading into recycling ect . The possiblies for integration are vast and the children absolutely love it! This year I am teaching children with autism and the catchy songs hold their attention for record amounts of time- I could not recommend this musical more!! We put this on with 60 year 1 children. We were able to split the script so there was a part for everyone, even if it was non-speaking. The songs were really catchy and easy to learn. 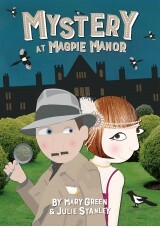 We put this production on for end of year with 200 year 1-6 children - 60 main cast and the rest in the chorus. It worked so well because it was so simple, with plenty of scope to adapt lines, add extra music, sound effects etc. The children just loved the songs so much and couldn't stop singing them. It really is the music that made it so much fun to work on. Thank you Niki Davies! Easy to 'dress', great songs, lots for all to do. A great choice for an eco school. Lots of scope to personalize it. The songs are lovely and meaningful and the penguins to 'die for' wow. Can't go wrong with this one. High rating. Well done. Did this as an end of Year 2 producion. The children really enjoyed it as did their parents and the rest of our school. The music was really catchy and the story was thought provoking and educational in a fun way. Thank you! Superb - perfect for any time of year! Our Year 1 & 2's staged this musical at the beginning of April and was a fabulous success! The parents loved it, there was hardly any effort required for costumes and the songs are so adorable to hear! nnA real winner - fantastic!nn10 out of 10 - 5 stars for sure! 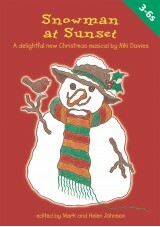 Every Christmas we need to stage a musical for 60 year 2 & 3 pupils. ...and every year we wonder how we're going to do it! nnEddie fitted the bill perfectly. The children loved learning the songs and following the progress of Eddie and the other penguins as they carried their vital message about preserving the environment around the world. The script was highly flexible and allowed us to give each child a speaking part. nnWe give it 5 stars!